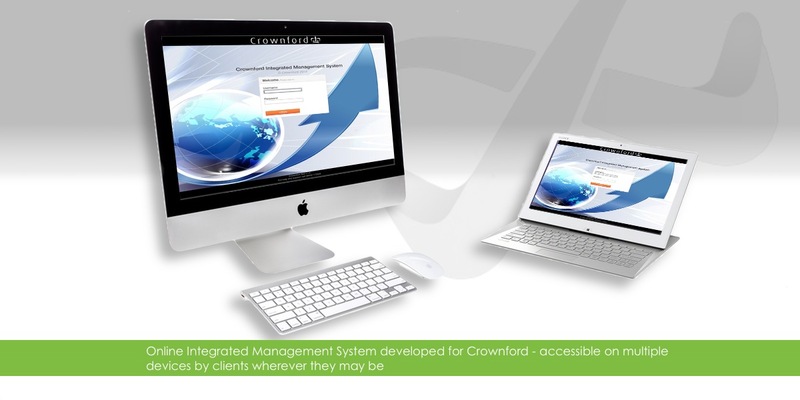 Crownford are one of the UK's leading providers of consultancy and training services with over 20 years of experience. Director Gareth Williams saw massive benefits for the company and it's clients in moving their Integrated Management System to an online platform. Consultation meetings held between Crownford and IT Sorted led to a comprehensive specification being drawn up with key features being ease-of-use, secure multi-level access by clients and complete manageability by Crownford staff. IT Sorted developed the system during late 2013 ready for roll-out in early 2014. It offers Crownford's clients the ability to manage staff records within the structured Crownford layout, ensuring legal obligations are met. Customisable managers' dashboards notify of outstanding employee documents and any pending expiry dates etc. From here it is easy to measure overall compliancy of a client site or department. 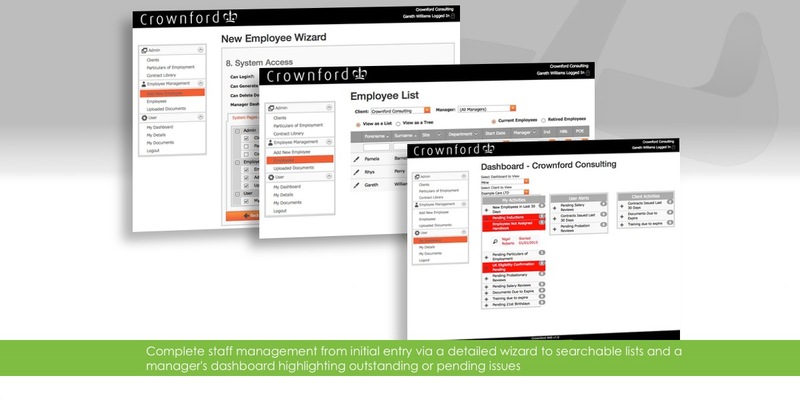 Crownford now have a system which they can manage and configure for each client, including the unique ability to setup specific employment contract templates for client managers, facilitating the dynamic generation of documents for new employees. "IT Sorted were extremely dedicated to our project and the end result was testament to this. An excellent job done."